When I opened the box, the smell immediately hit me. That smell of well-tanned leather. You know the smell. You hold it up to your nose and leave it there for awhile. Yeah, it was like that when I opened the box on the Mr. Lentz leather briefcase. I have had ‘genuine leather’ goods my whole life that turned out to be not so genuine. So I was very curious if Mr. Lentz could make a leather good that truly was of the highest quality. So let’s jump right in. LARGE: The exterior of this size measures 15.5 inches wide x 11.25 inches tall x 3 inches deep. The interior space is: 14.75 inches wide x 11 inches tall x 2.75 inches deep. 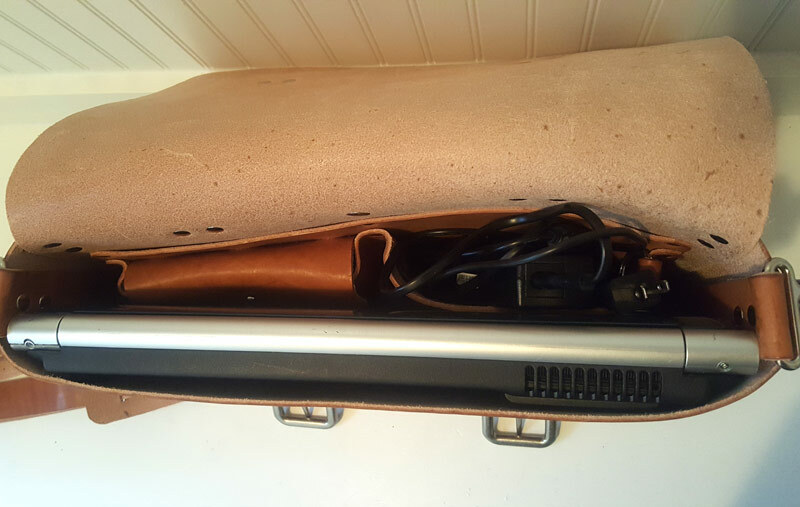 The large size will fit Macbook Pro 15″ laptops. *Hardware change note: the shoulder strap now contains two steel clips on either end that clip onto the hardware on the sides of the bag. 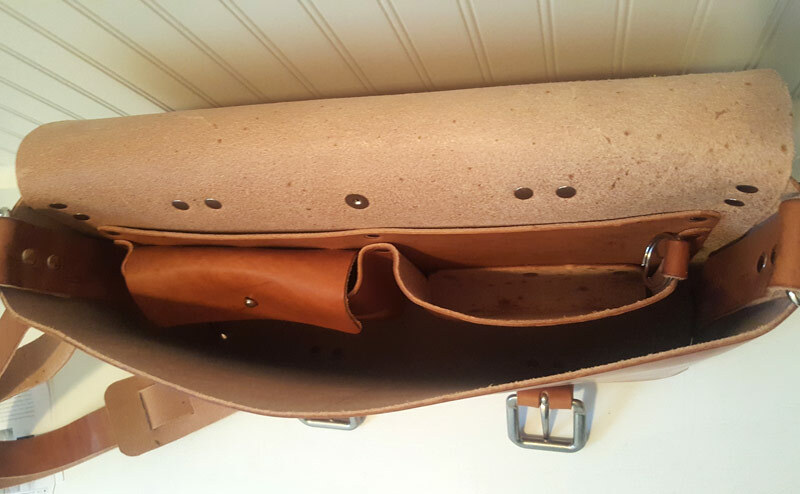 INTERIOR POCKETS ADDON: These are 2 pockets total attached to the interior via 6 heavy duty military grade snaps. The pockets are both 6 inches wide x 5 inches tall, and one contains a flap closure, the other is open with a small key ring attachment. PERSONALIZATION LOCATION: If you choose to get your Briefcase stamped or branded with initials or a name, the personalization will go on a small tag of leather that will be riveted to the main body of the bag. It will be located under the top flap, near the opening of the bag. This bag is top notch. 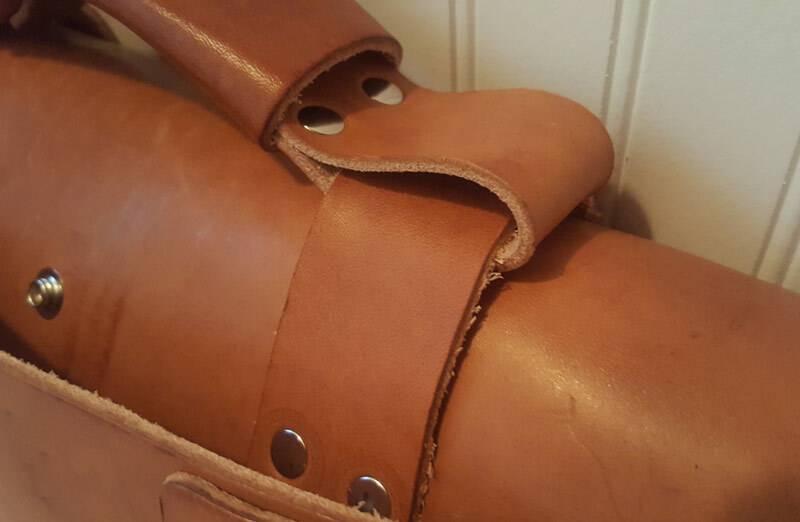 There isn’t a stitch on the entire bag, as every piece of leather on the bag is attached using rivets. Just about every leather good I have ever owned has started to come apart at the stitched seams sooner or later with normal wear and tear. But with nary a stitch in sight and with a 100-year warranty on defects with this product, this bag is going to last me a very long time. And just as with all leather goods, I expect it to get softer and more supple over time. 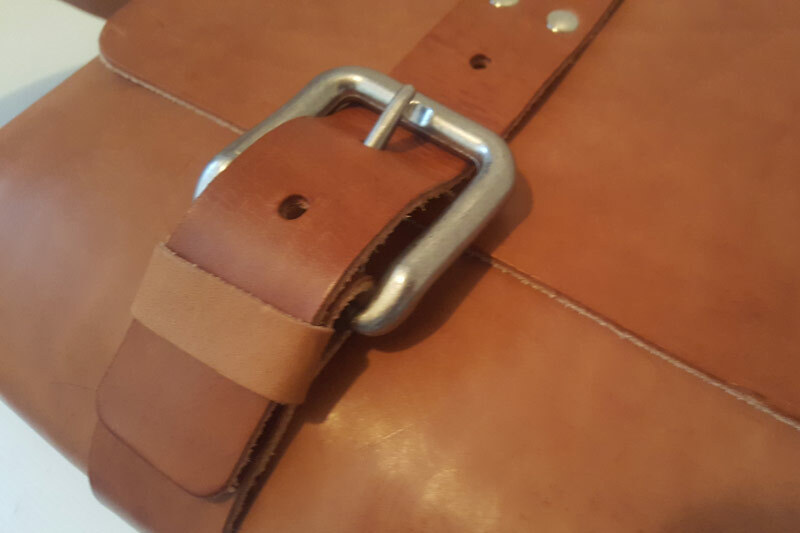 The inside of the bag is natural and unlined and the buckles are stainless steel and very high quality. The handle on the top is soft and easy on the hand, and the straps that buckle and close the bag on the front actually wrap around the bottom and snap into place at the top of the back. What that enables you to do is unsnap the straps on the back and insert like a newspaper or something there, then snap it back to hold the item tight. There is also a pocket on the back of the bag that can hold a small stack of papers or folders, and it has one snap to hold it closed. I got the bag with the optional inside storage add-on that is basically 2 pockets. One of the inside pockets is open with a key ring attachment, while the other has a closeable flap. Having the inside storage is definitely nice for your phone/keys/etc, but it does take up room inside the bag. The removable adjustable shoulder strap is wide and spreads the load on your shoulder, so that is nice. 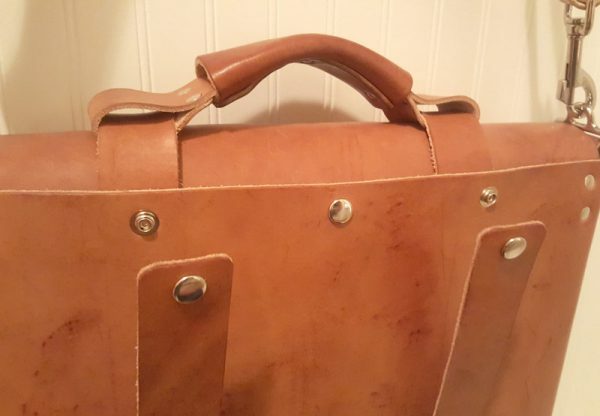 I didn’t really dislike anything about this briefcase, but there are some things to consider if you decide to purchase this. I was able to fit my 15″ laptop with power supply inside the bag, but it was tight. With my laptop inside (it is old and pretty thick) I wasn’t able to get much more inside the bag. So I had to utilize the outside pocket to hold folders and papers. Finally, it is expensive, no doubt. 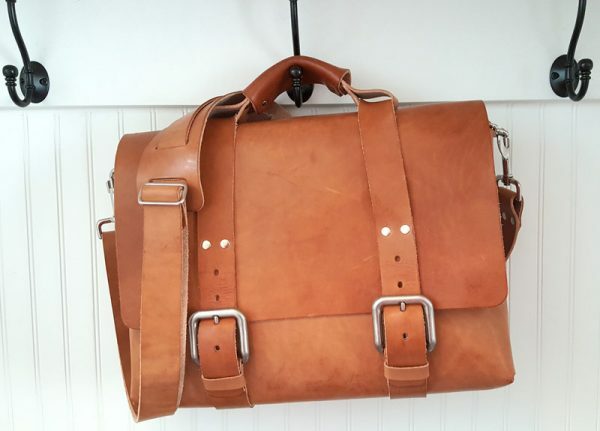 Dropping over $400 for a leather briefcase isn’t a small thing, but I truly believe that you have to pay for quality. 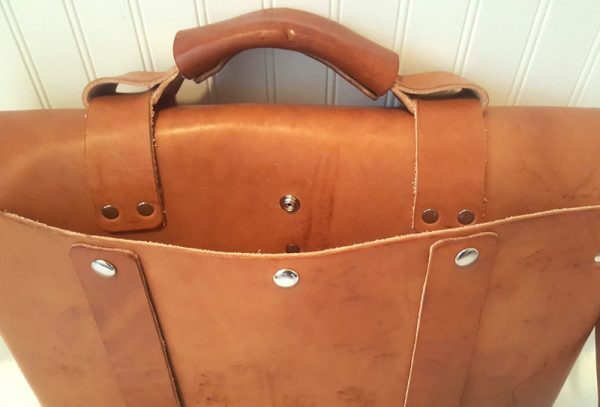 I have thoroughly enjoyed this briefcase and it has become my daily go-to bag for carrying to meetings. The quality is outstanding and I doubt anybody can outlive the warranty. I highly recommend this bag. Source: The sample for this review was provided by Mr. Lentz. For more info visit his website to order and check out some of their smaller leather goods on Amazon.